BCCAA is 501(c)(3) tax-exempt organization with a fifteen (15) member board of directors composed of equal representation from the public, private and poor sectors. The Agency’s principal activities consist of carrying out Community Action Programs through grants received from the State of Mississippi Department of Human Services, the Federal Department of Health & Human Services, the Mississippi State Department of Education and other governmental and private funding agencies. 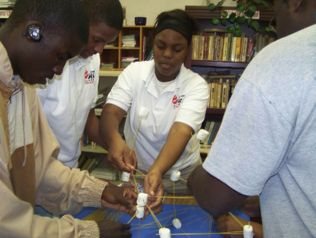 As a leading program in the State of Mississippi, BCCAA provides a variety of services ranging from preschool childcare to a senior companion program; from a transitional and homeless shelter to a Homeless Prevention Rapid Re-housing Program; from an adolescent opportunity program to a general education diploma program; from utility/rental assistance to education assistance. The agency’s mission is to enhance the well-being, economic independence and growth of low-income individuals and families to become self-sufficient and foster community empowerment and development.